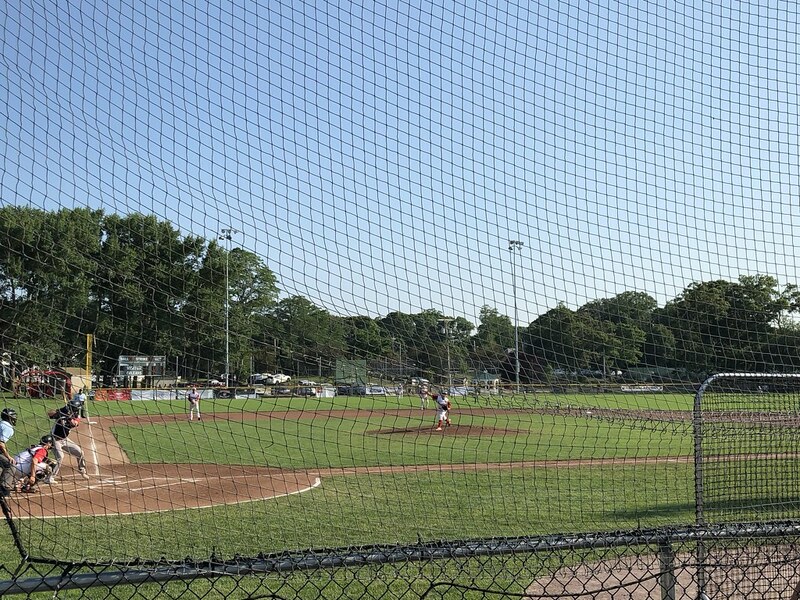 The view from behind home plate at Eldredge Park. 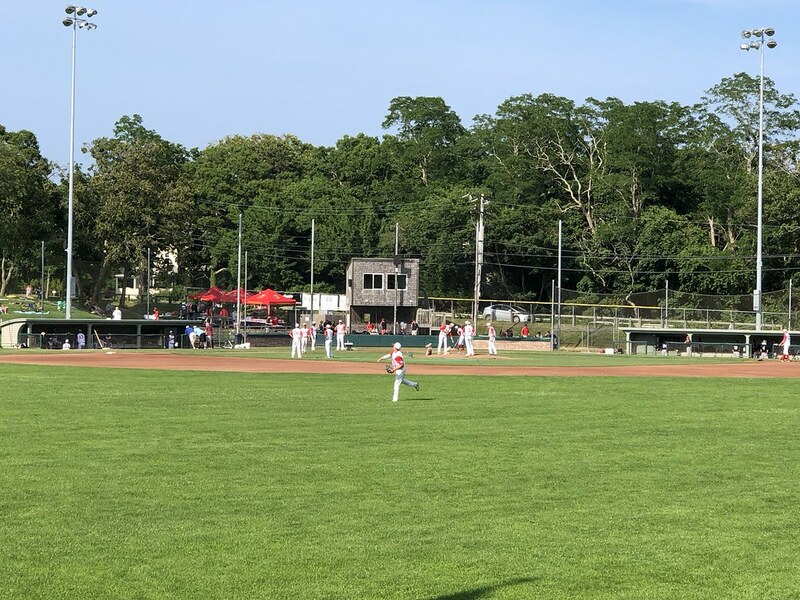 The grandstand at Eldredge Park, as seen from center field. 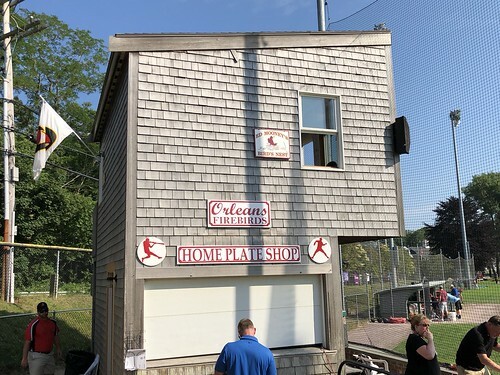 The pressbox sits in an elevated building behind home plate, with a small section of bleachers running down the first base line. 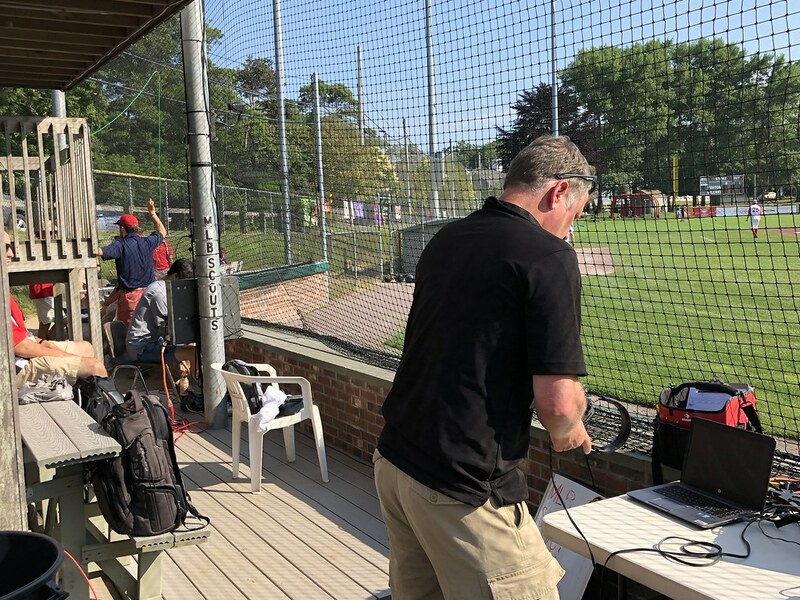 A scouts only seating section sits underneath the pressbox directly behind home plate. 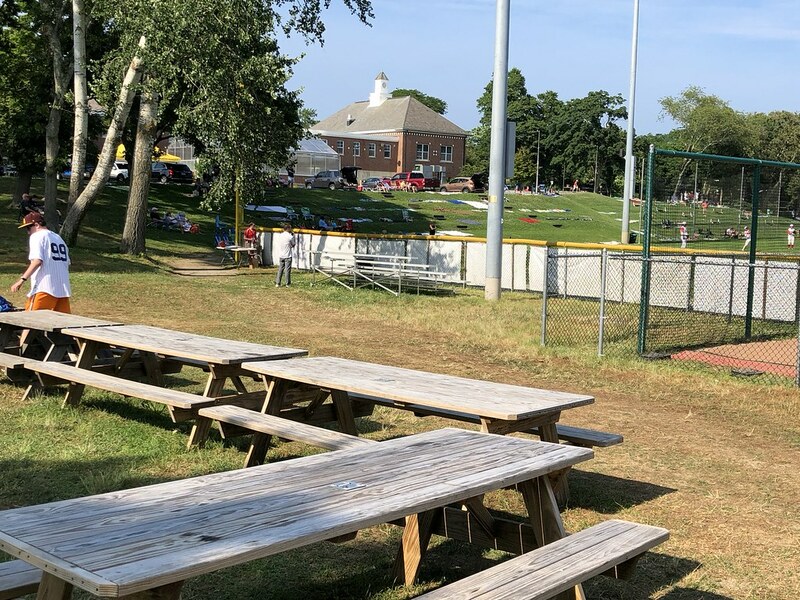 A small bleacher section sits behind the right field wall, and a playground stands behind the left field fence. 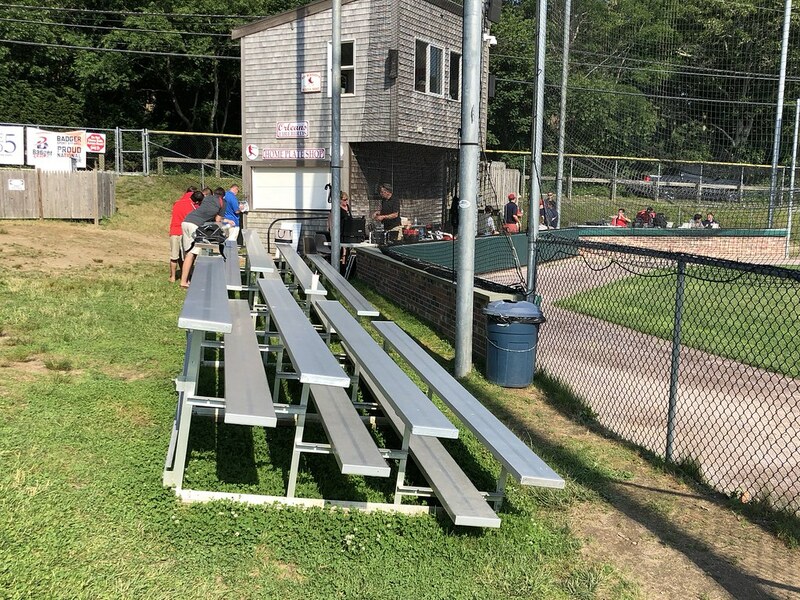 Picnic tables and more bleachers sit next to the bullpens in the right field corner. 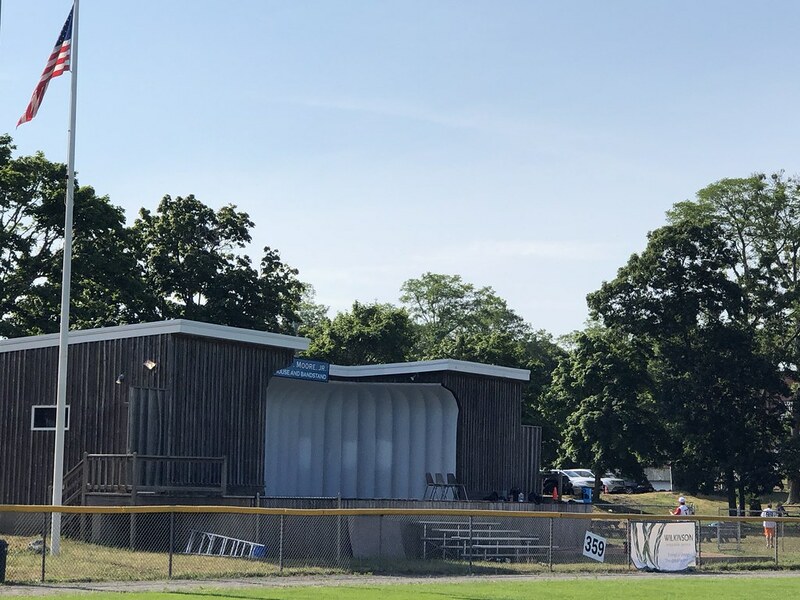 The clubhouse sits in a bandstand that overlooks the field at Eldredge Park. 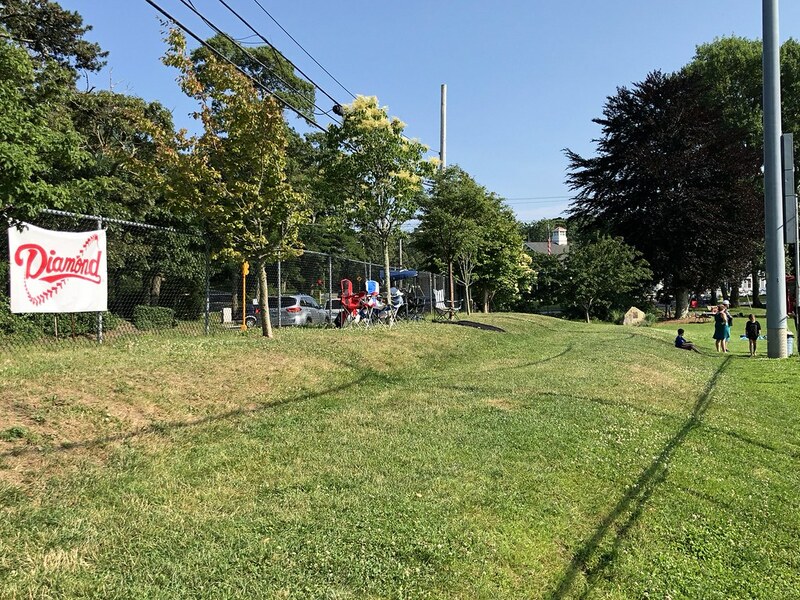 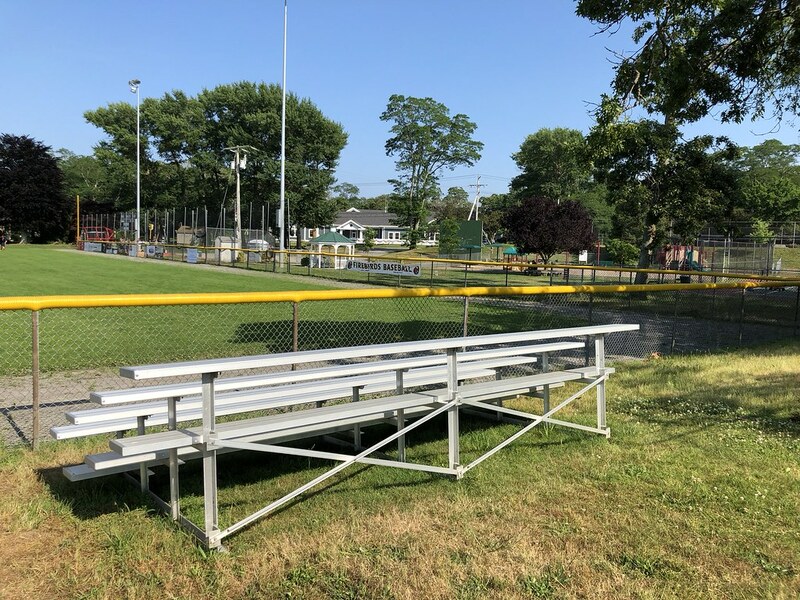 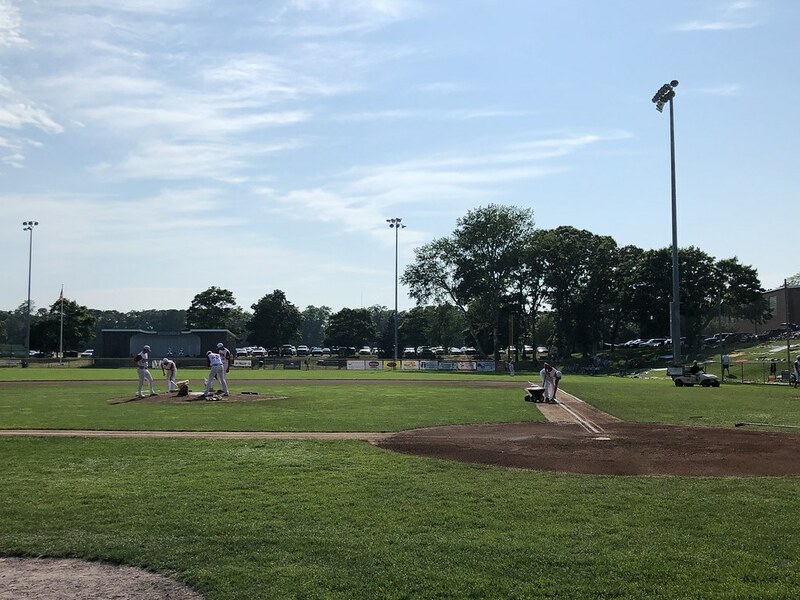 Most of the seating at Eldredge Park is located on a large tiered grass berm that runs along the first base side of the field. 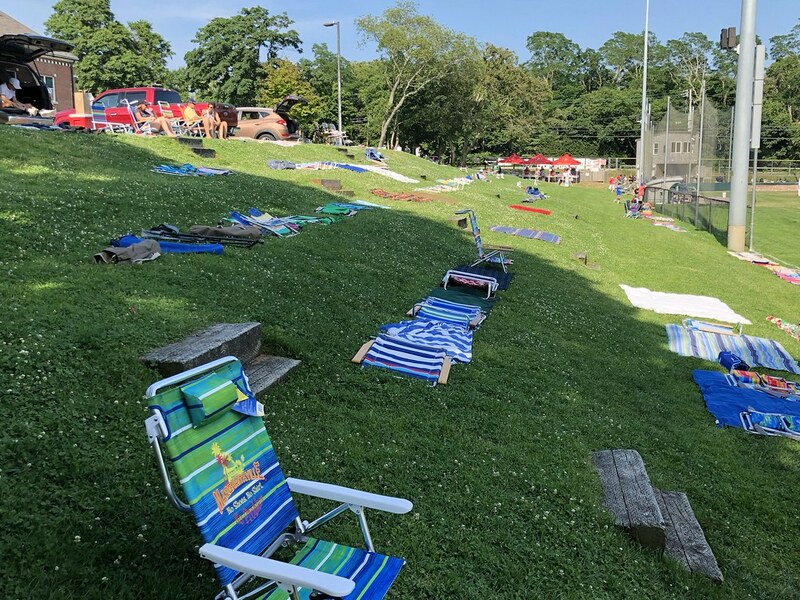 Firebirds fans arrive at the park early in the day to stake out their spot on the berm, leaving chairs and towels out all day to claim a spot for the night's game. 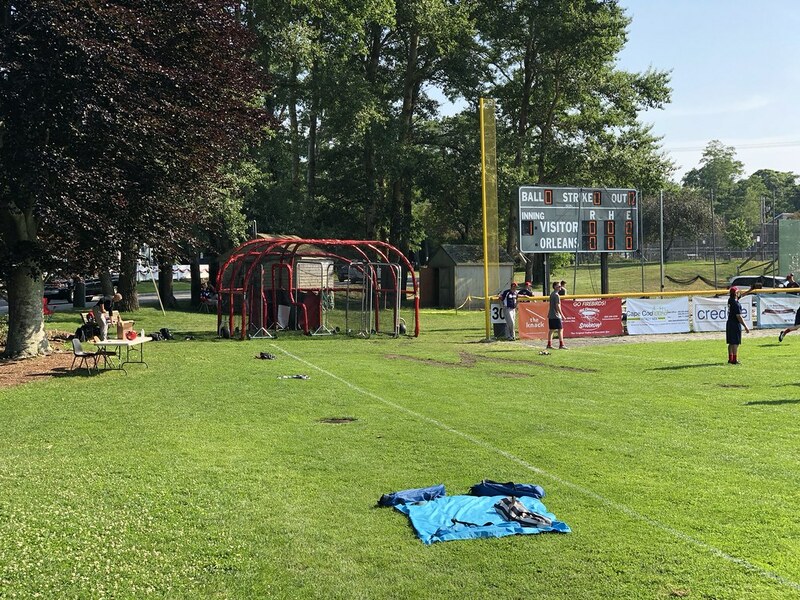 A much smaller berm runs along the third base side of the field, limited in space by a road that runs alongside the ballpark. 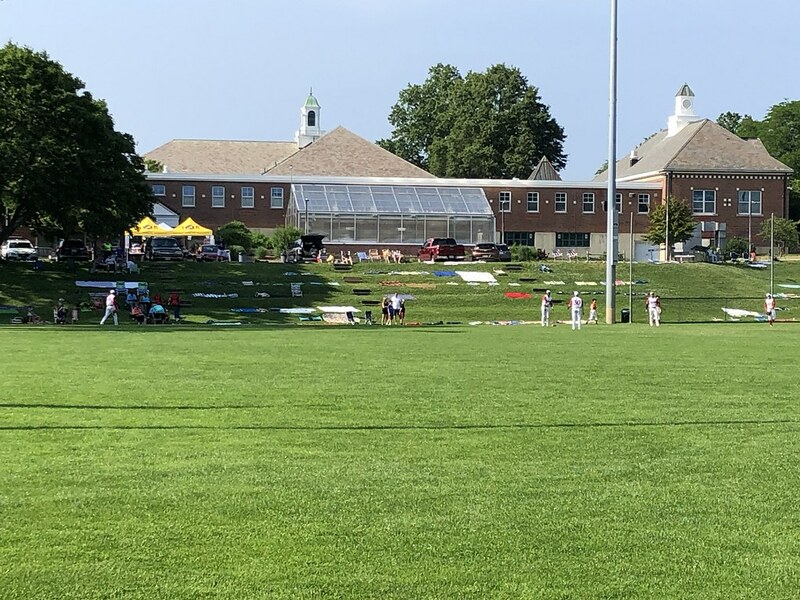 There is no fence separating the fans from the field in the outfield, just a second white "out of play" line. 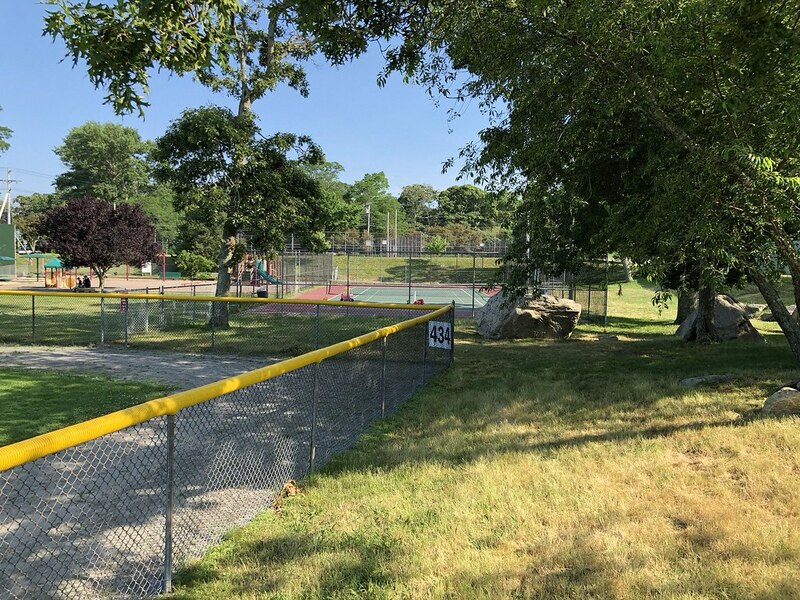 The outfield features some unique dimensions, especially where it comes to a sharp point in center field, 434 feet from home plate. 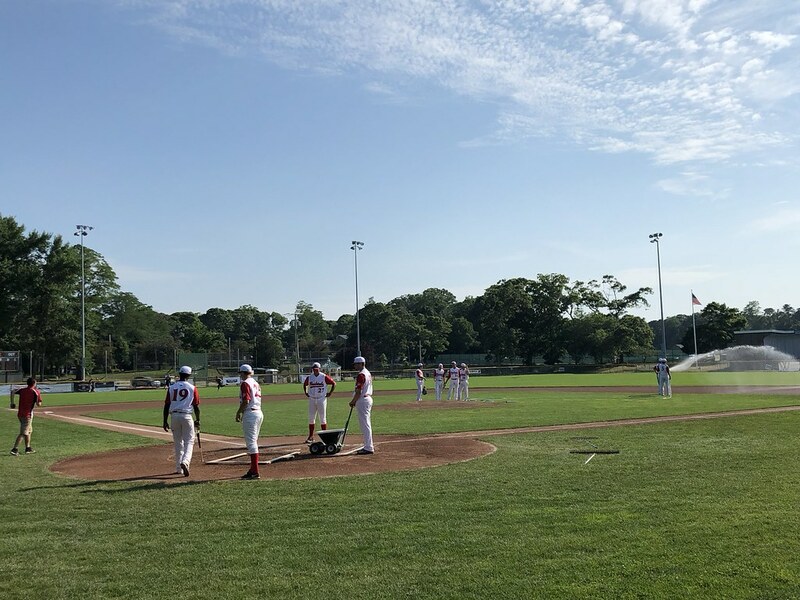 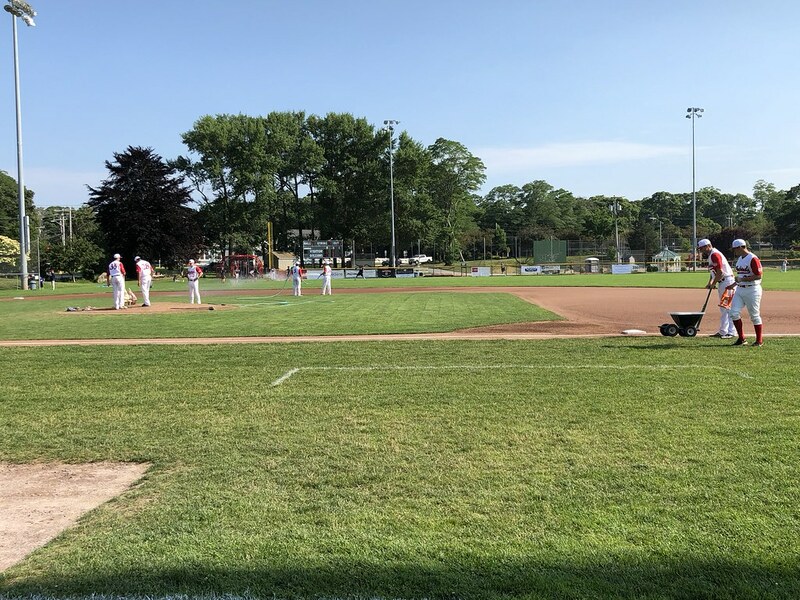 The Orleans Firebirds on the field during a game at Eldredge Park.